Caulfield’s Henry Dwyer has next winter’s Queensland Derby 2018 on the agenda for a full brother to Melbourne Cup winner Prince Of Penzance, Heir To The Throne. 2018 Queensland Derby hope Heir To The Throne is a full-brother to Melbourne Cup winner Prince Of Penzance (pictured). Photo: Jenny Barnes. The three-year-old Pentire gelding out of Royal Successor is shaping up as a nice Derby hope in the new season, Dwyer hoping to capitalise on his $200,000 purchase from the New Zealand sales two years ago. After two unplaced runs to kick off his career back in July, Heir To The Throne showed nice progression on Monday with a close fourth over 990m in a Cranbourne trial. 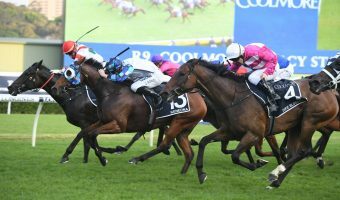 “He just had a softish trial this morning – his first trial back – and he’s got a fair way to come fitness wise and looks a bit average in the coat but that will clean up in the next couple of weeks,” Dwyer told Racing Victoria yesterday. Monday’s hit-out was the first public appearance from the well-bred galloper since his failed 12th behind Terry at Morphettville Parks in the Listed Oaklands Plate (1400m) on July 22. 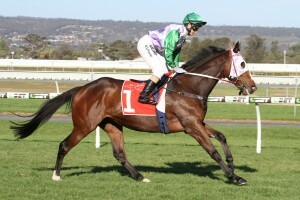 Dwyer will kick the untapped youngster off over the same 1400m first-up before steadily building to the Derby distances. “He’ll kick off over 1400 [metres] and we’ll look to win a race with him, get him out in distance and hopefully get him out to a Derby trip,” Dwyer confirmed. “I don’t think he’s a dour stayer. 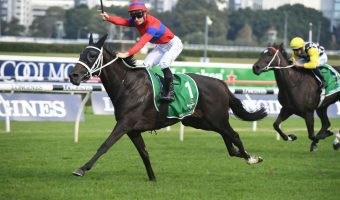 The Group 1 $600,000 Queensland Derby (2200m) at Eagle Farm Racecourse on June 9 is one of the first major targets for Heir To The Throne, a race Dwyer won in 2014 with Sonntag. 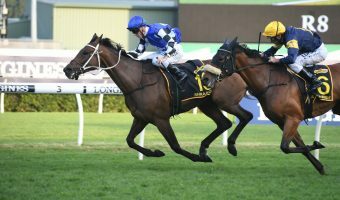 If all goes to plan in Brisbane, the horse is likely to continue onto Morphettville on May 12 for a shot at the Group 1 $600,000 South Australian Derby (2500m). Heir To The Throne’s famous older brother Prince Of Penzance never raced in the Derby events as a three-year-old, but did show early staying potential saluting over 2000m at Flemington in May of 2013 at his fifth career start. 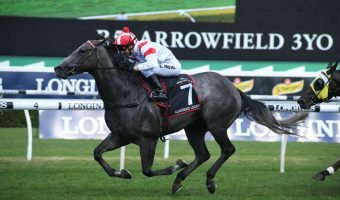 Prepared by Darren Weir, Prince Of Penzance is of course best known for his shock win in the Group 1 $6.2 million Melbourne Cup (3200m) in 2015 where he saluted at a blowout price of $101. 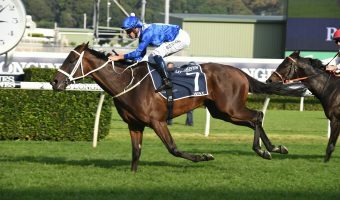 To back the progressive Heir To The Throne over his new season Derby campaign at the right price head to Ladbrokes.com.au today.